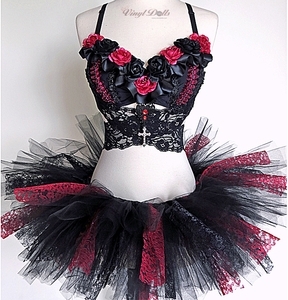 Black Red Roses Goth Outfit - Floral Bra and TuTu ~ Osi'sVinylDolls original design! 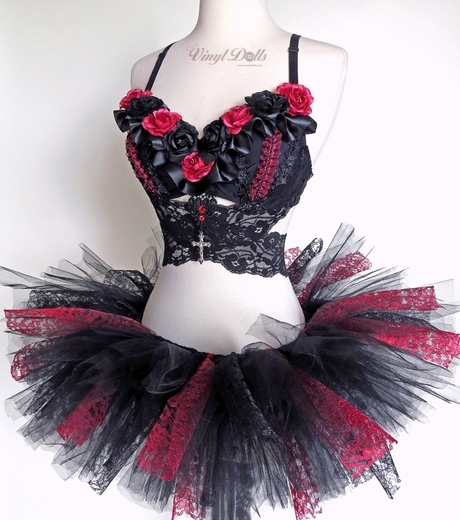 ☆Bra - Black bra featuring Black and Red Flowers, Ruffles, Beads, Cross and Black Lace Torso wrap that ties in the back. Perfect for Burlesque, Burning Man, EDC, Goth Clubbing, Festivals, Carnivals, and Raves.